Harcourt Books, 1943. 83 pages, Fiction. 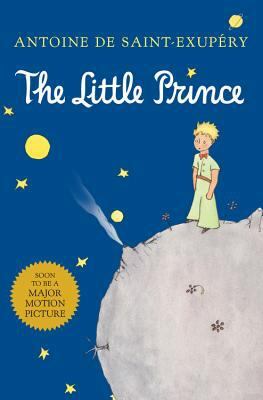 Styled as a children's book, The Little Prince is actually a philosophical and poetic tale giving a critique of the adult world. Saint-Exupery describes experiences derived from his childhood and a plane crash in the Sahara where he meets a little prince from another world. This little prince teaches about his world and travels, all the while asking questions and giving a fresh perspective on the world through a child's eyes. This world-acclaimed novella has been translated and republished again and again because of its timeless truths and endearing storyline. It's been many years since I last reread The Little Prince and with adult eyes it's been very enlightening. There is something to be said for maintaining laughter, curiosity, imagination, asking questions and just saying what you mean. I love the not-so-subtle reminders to avoid big vices like vanity, laziness, discontentment, materialism, lack of spirituality and lack of loving relationships. This is a must read for all adults and children and always a good reread to get back to the basics in order to have a happy and fulfilled life.